Whitney Houston earned countless awards and sold millions of albums, but all of her accomplishments were overshadowed the past several years by her personal demons...until the day she died. Why are we so much kinder in death than in life? Before Whitney Houston died tragically in a hotel bathtub, one was more likely to hear a ‘crack is whack’ joke over “I Will Always Love You.” Now, The Bodyguard ballad is in such heavy rotation I heard it at the same time on three radio stations (my car seat deejay wasn’t digging it, and thought I was effing with him because it kept coming on despite his emphatic “no, no, no” protests). 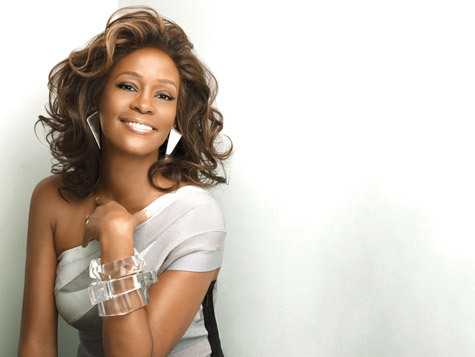 Whitney now dominates the ITunes Top 100 chart with 25 different songs on the list. Sony “mistakenly” jacked up the prices of her music right after millions of people opened their pocketbooks in collective mourning (that’s a used car salesman line, huh?). I told you, death is at a premium. She rocked a microphone and 80s hair. 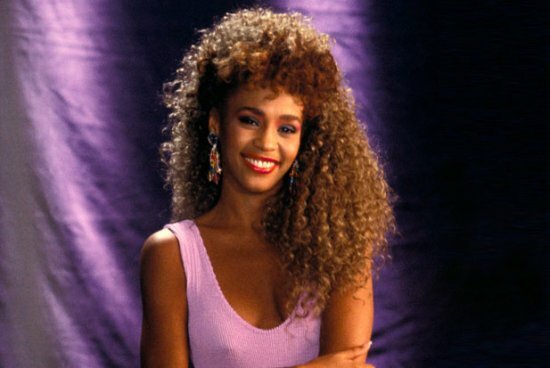 RIP, Whitney. I am guilty of paying more positive attention to Whitney posthumously. I listened to Satellite radio’s tribute to “The Voice,” and reminisced about her songs. As a child of the ’80s, she provided the soundtrack to many of my milestones (I remember pranking a crush with my BFF with “How Will I Know” blaring in the background to cover up our uncontrollable giggles: How will I know if he really loves me? I try the phone but I am too shy can’t speak…). I aspired to new heights with my trusty pick and Aqua Net after I saw her bangin’ bangs in her “I Wanna Dance With Somebody (Who Loves Me)” video. I even considered “If You Say My Eyes Are Beautiful” as a wedding song. Sadly, Whitney became tabloid fodder in recent years. The gutter press salivated over her stints in rehab, high-profile marriage and divorce to bad boy Bobby Brown, her widely panned comeback tour, and wild interviews (she famously said, “I make too much money to use crack. Crack is whack.”). She was mocked mercilessly in the media, at Mommy-and-Me classes, at office water coolers. And now, because she’s dead, those same people are planning parties to watch her star-studded funeral on television this Saturday like it’s the royal wedding, take two. Don’t you think Whitney would’ve appreciated the outpouring of affection, album sales, and cries that she was the greatest voice of her generation while she was still here? Now, in death, she’s getting the respect she probably craved during her darkest drug binges. In death, we remember the beauty of her voice, her accomplishments, her devotion to her daughter. In death, we value her life. It’s so, so sad, don’t you think? p.s. You guys are amazing! Mommy Dish is catapulting up the Top Mommy Blogs list, thanks to your support! After one week of your votes, Mommy Dish is already ranked number 13 in the humor category. You guys rock! Remember, you can click the brown box at the top of this page once a day. Grab a cup of coffee and click; it’s that simple! Thanks! This entry was posted in celebrity, Life, Mommy, Thoughts, Uncategorized. Bookmark the permalink. Thanks, Jen. I appreciate you reading my blog. Whitney is always so warm and rfihesreng. I commend her with how she has changed her life and I pray that she is strengthened daily. She is doing a great job. I actually miss her smile and warmth when I shop and she’s not around. Keep up the good work and God Bless. She was a beautiful but troubled woman. You’re right a few weeks ago everyone remembered the bad, not the good. It is sad that she is being revered now that she is dead and isn’t here to see how people felt about her.